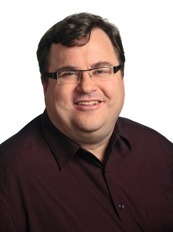 Reid Hoffman of Greylock & LinkedIn fame has posted a great list of rules for entrepreneurs looking to build great companies – check out his post for the full text (link below). Rule #1: Look for disruptive change. Rule #3: Build a network to magnify your company. Rule #4: Plan for good luck and bad luck. Rule #5: Maintain flexible persistence. Rule #7: Aspire, but don’t drink your own Kool-Aid. Rule #8: Having a great product is important but having great product distribution is more important. Rule #9: Pay close attention to culture and hires from the very beginning. Rule #10: Rules of entrepreneurship are guidelines, not laws of nature.